With England making it through to the knockout stage, and with so many other brilliant teams fighting for the chance to be World Cup Champions only one out of the few Official Theme Tunes for the World Cup seem to have everyone doing the same thing… waving their flag. 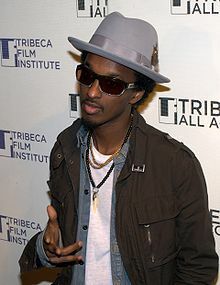 Keinan Abdi Warsame also known as K’naan was born in Somalia 1978. Not growing up there but being old enough to witness the Somali Civil War, K’naan travelled to New York City before residing in Canada at the age of 13 alongside his mother, brother and sisters. With Nas and Rakim as major influences this poet, rapper, singer, songwriter, and instrumentalist has broken through the airwaves with a track that was not even meant for the world cup, but a story created from experiences that he had seen. Now that is what you call talent!